8:30pm Let the hacking begin! Last weekend, June 28-29, marked Ottawa’s third instalment of Random Hacks of Kindness (RHoK) (http://rhok-ottawa.ca/). The first order of business is to answer “So, what is it?”. RHoK is a hackathon for making the world a better place by developing practical, open source technology solutions to respond to some of the most complex challenges facing humanity. 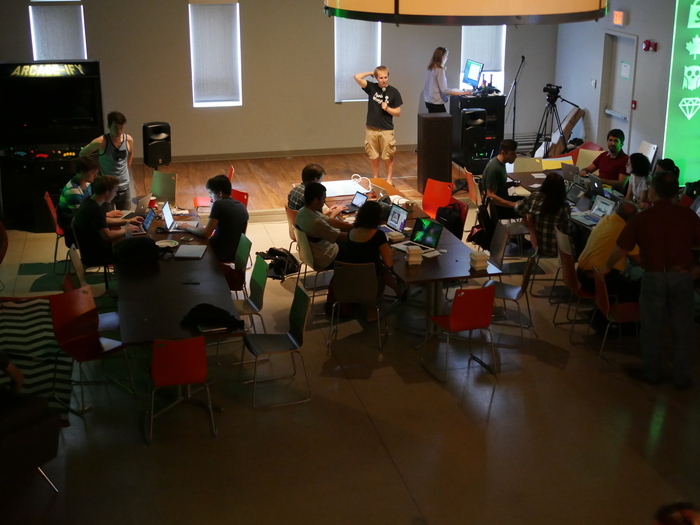 RHoK, an international initiative (in over 30 countries), happens concurrently twice a year in June and December. Our Ottawa chapter operates wholly on its own, while maintaining the vision and mission of the global organization. Now before I dive into how it works, I want to venture an important point of clarification for hackathons: it’s not just for developers. 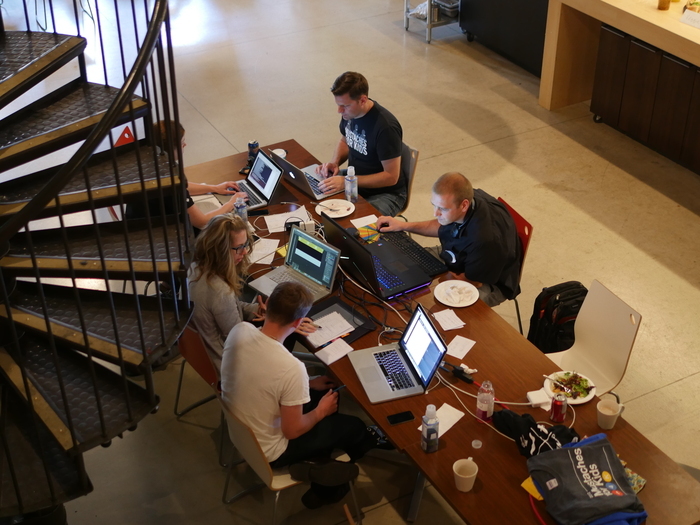 In fact, many hackathons welcome and actually need a diverse group of individuals. For example, at RHoK this weekend, we had developers of all types, graphic designers, UX designers, community managers and an anesthesiologist. Of course there are also the organizations that benefit. Everyone is welcome. What’s really exciting about RHoK is that we pair participants with real organizations that have real challenges. As a result, it’s a great environment…but there is a lot that goes into the event. Recruiting organizations is actually tougher than it sounds. While they get the benefit of collaborating with bright and talented minds, simply providing a venue and people aren’t enough. The organizations need to generate a project that fits the bill. The project or objective must: have a clear problem and direction but still leave lots of room for creative problem solving; be able to be solved in a weekend; be applicable on a larger scale to other organizations; and, be engaging and rewarding to the participants — the organizations tend to be one of the key selling features in getting participants to join. We’ve yet to have any real problems in finding participants as we’ve sold out in June and last December. But, that’s in no small part due to the outreach we do and the great opportunity we are creating for people. We reach out to a host of developer groups across the city, encourage past participants to join, post on our professional and corporate networks, and rely on the participating organizations to also spread the word. Participation costs $5 and the reason for charging this amount is really only to encourage attendance if you register. To put this in perspective, and thanks to the many sponsors who contributed, RHoK participants ate like kings all weekend for that $5. Not to mention, they got some pretty sweet laser-etched mason jars as a take-away.